As the author of a document, you automatically own the copyright unless you have transferred the copyright or you have released the information for use under an alternative approach, such as a creative commons license. If you created a document as part of your regular employment, your employer will own the copyright, and that happens without any sort of contract agreement. When you submit a manuscript for publication, most scholarly journals will request that you transfer some or all of the copyright for the article to the journal. Why is transferring copyright an issue? Transferring the copyright of your document means that you won't be able to use the information again in any form without permission from the publisher. This restriction includes distributing information to colleagues, posting information on a website, using the material in future research or sharing the information in a class. It doesn't matter if you post the material to a password-protected website; if you've transferred copyright, you no longer have the legal right to share the information without the expressed permission of the publisher. 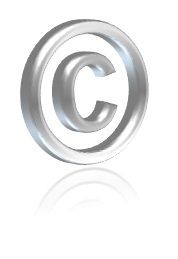 How can you maintain partial copyright? As the author of the manuscript, you have a choice as to which journal you approach to publish your work. If you approach what is known as a "predatory publisher", it is unlikely that you will be able to retain any part of the copyright. For more information on predatory publishers, please see the previous tab (2.a) in this guide. To find out a specific journal's expectations regarding transferring copyright, you can look up the journal in the SHERPA/RoMEO database to access "a summary of the publisher's policy, including what version of an article can be deposited, where it can be deposited, and any conditions that are attached to that deposit " (RoMEO FAQs: About RoMEO). The RoMEO database has more than 18,000 peer-reviewed journals and serials in it that represent publishers world-wide (RoMEO FAQs: Coverage). Publishing agreements are negotiable, so rather than signing away all your rights, open a conversation with the publisher by including an author addendum in the publication agreement. For more information, please refer to the CAUT Intellectual Property Advisory: Maintaining copyright in journal articles. For an overview of the issues involved around giving up your copyright, as well as a sample author addendum, please see "Using the SPARC Canadian Author Addendum to secure your rights as the author of a journal article". Finally, access the SPARC Canadian author addendum for your own use.